Heat oven to 350°F. Grease or spray 13x9-inch pan. 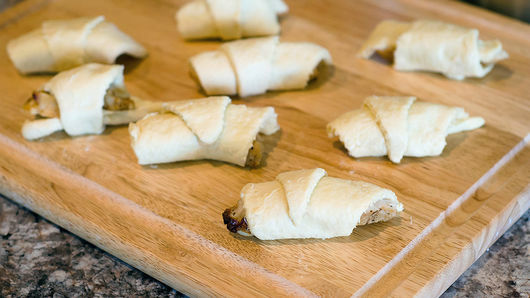 Separate 1 can (8 oz) Pillsbury™ refrigerated crescent dinner rolls into 8 triangles. Place a 1-inch cooked chicken strip on wide end of each crescent. Roll up chicken toward point. Spread 1 cup pasta sauce in bottom of pan. 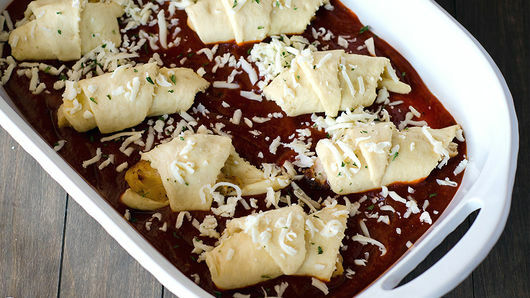 Place rolled crescents over sauce in single layer. 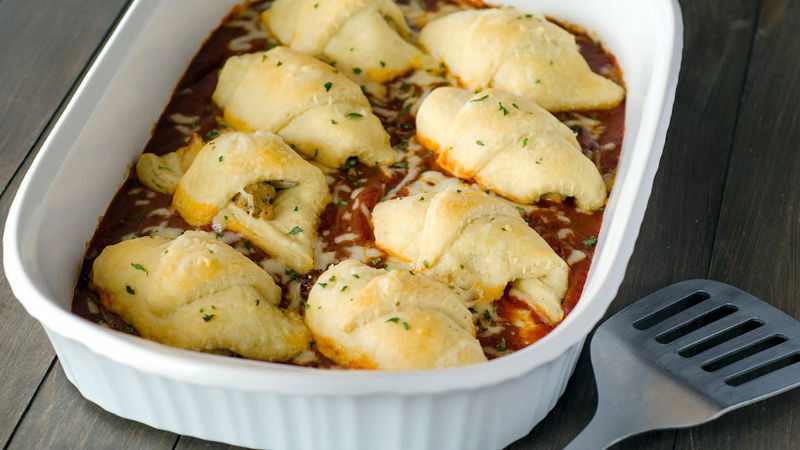 Sprinkle tops of crescents evenly with 1 cup shredded mozzarella cheese (4 oz). Top cheese with a sprinkling of dried parsley, if desired. Bake 20 to 25 minutes or until golden brown and crescents are cooked through. Serve warm. Plan ahead by cooking or grilling 2 small chicken breasts and cutting into 1-inch strips ahead of time. Sprinkle a little cheese over chicken before rolling up crescents for a cheesier dish!